Port of Townsville Limited (POTL) has released the 2015 Annual Seagrass Health Survey carried out in Cleveland Bay during 2015. The survey, commissioned annually since 2007 at a cost of around $70,000 per year, is carried out by James Cook University’s (JCU) Centre for Tropical Water & Aquatic Ecosystem Research (TropWATER). JCU scientist in charge of the program Dr Michael Rasheed said that the results of the monitoring in Townsville over the past few years were encouraging, with a large scale recovery of seagrasses being recorded. WILCO Logistics Pty Ltd has been announced as the successful bid contractor on Breakwater safety works at the Port of Townsville. Minister for Ports Mark Bailey said the overall $1.5 million project will improve navigational safety at the Townsville Port by widening the entrance to the harbour, but does not involve any capital dredging works. “This project is another step towards being able to accommodate larger vessels at the Townsville Port and will also improve the navigational safety of vessels already entering our harbour,” he said. Port of Townsville Limited (POTL) has welcomed the announcement this morning by Treasurer Curtis Pitt and Minister for Ports and Energy and Water Supply Mark Bailey of the appointment of two new locally-based Directors to its Board. Mr Shane Hanran and Ms Megan Heywood assume their positions on the Board effective today. POTL Chair Renita Garard said that today’s announcement was a real boost to the port’s Board and that the skills and experience of the two appointees would service the business well as it embarks upon long term expansion plans. Northern Australia’s largest general cargo port, the Port of Townsville, will today sign a historic Memorandum of Understanding (MOU) with PT Pelabuhan Indonesia II (Persero) or the Indonesia Port Corporation (IPC). The agreement will be signed at the Indonesian-Australian Business Forum in Canberra, witnessed by the Australian Government’s Hon Andrew Robb AO MP, Minister for Trade and Investment, H.E. Ms Susi Pudjiastuti, Minister of Maritime and Fisheries Affairs Republic of Indonesia, and H.E. Mr Nadjib Riphat Kesoema, Ambassador of the Republic of Indonesia for Australia. A 5 percent increase will apply to port charges at the Ports of Townsville and Lucinda effective July 1, 2015. The Layup Concession will continue to operate and its effectiveness will be monitored and reviewed through the Port Advisory Body. 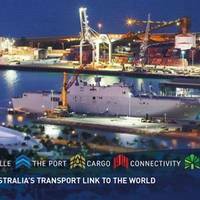 The Port of Townsville Limited (POTL) has implemented a number of cost control measures in recent years to ensure operating costs and overheads have been reduced. 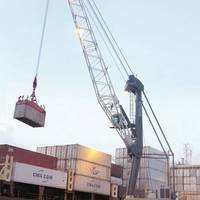 POTL has also worked in close partnership with berth operators and port service providers to improve port efficiencies and capacity. Team Springs into Immediate Action with Successful Rescue and Salvage of Two Stricken Vessels in Waters Surrounding Australia. 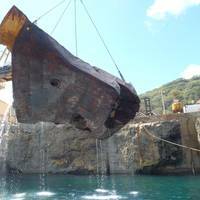 To meet the needs of changing market conditions and increased commercial vessel traffic in and around the Great Barrier Reef, TITAN Salvage has established a new office and equipment depot in Cairns, Australia. The presence in the Pacific Southeast enhances the company’s marine salvage, wreck removal and emergency response capabilities in the region. With this new depot, also comes the region’s introduction to new subsidiary TITAN Maritime (Australia) Pty.